Trinity is for anyone who wants to seek God--from those exploring whether or not God even exists, to committed Christ-followers. We present Biblical truths and show how they apply to our everyday lives. And we have a lot of fun while doing it. We believe every person matters to God, and that means every person matters to us. That’s why we’re working hard to create a church family where--no matter what your past holds--you can find God and community. And we would be honored to have you join us. 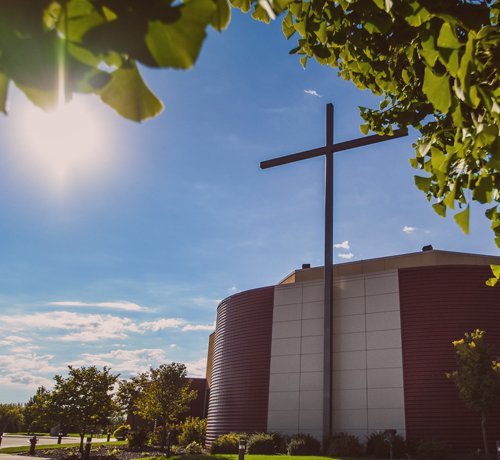 Use our website as a guide to discover all that Trinity has to offer for connection, growth, education, serving, ministries and missions. Visit us on Sunday for worship and stop at “Guest Connections” in the lobby. We would love to meet you and answer any questions you have about Trinity.